The bursaries help artists who have no other income to alleviate the financial pressure of pursuing their talents. THE ARTS COUNCIL announced today that they have awarded over €3.3 million in bursaries to artists over the past three years. A total of 375 artists received the bursaries which are capped at €15,000. The Arts Council bursaries are intend to help artists who have no other income and to help alleviate the financial pressure of pursuing their talents. Some of the artists that were recently successful in obtaining the €15,000 bursary include Fergus Feehily, Niamh O’Malley and Garrett Phelan. In the past, famous Irish bursary recipients include Seamus Heaney, John Banville, Sebastian Barry, Robert Ballagh and Graham Knuttel. The funding and the positive contribution it makes to the arts was recognised today by the Taoiseach Enda Kenny today, who gave a keynote address. 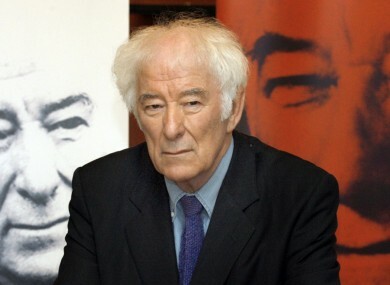 There was also a special tribute to the late Seamus Heaney at the event also. The talent Ireland possesses is unquestionable. However, no matter how talented an individual is, it may take time for their potential to be realised and it certainly requires money, especially at the beginning of a career. This is the reason that Arts Council bursaries are so important to those who receive them. They offer the breathing space which is so necessary in order to allow ideas to flourish. Email “Artists receive over €3 million in bursaries over the past three years”. Feedback on “Artists receive over €3 million in bursaries over the past three years”.